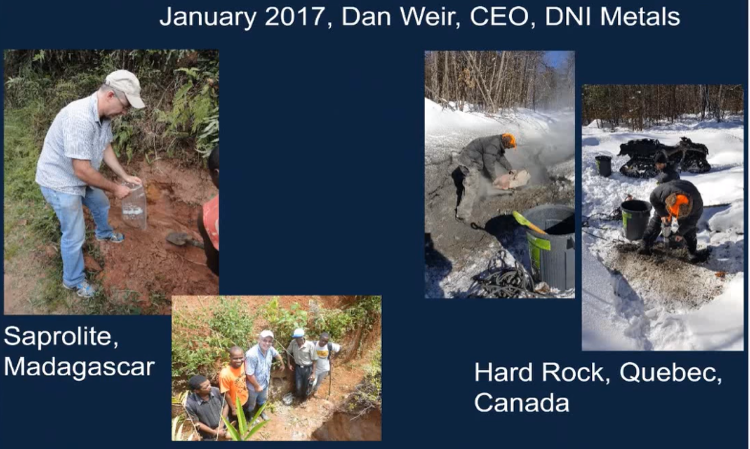 Maurice Jackson: Joining us for a conversation is Dan Weir, the executive chairman for DNI Metals Inc. (DNI:CSE; DMNKF:OTC), which is establishing itself to become one of the world’s leading graphite producers. Glad to have you back to share the value proposition of DNI Metals. We hope you can provide readers with some updates on the company’s latest developments. But before we begin, Mr. Weir, for someone new to the story, what is DNI Metals? Dan Weir: DNI Metals is a public company. We’re listed on the Canadian Securities Exchange, the CSE, in Canada, as well as the OTC in the United States. It’s been public for 25 years. Initially, it was a nickel play in Québec, Canada. It used to be called Dumont Nickel Incorporated, the name was shortened a number of years ago to DNI Metals. The previous team pursued chasing after some gold assets in Utah. Those gold assets are currently in production. Then, they went and staked a very large claim package in Alberta, Canada—a very large polymetallic deposit, which leads up to myself and our new team. We got involved in December 2014 to focus on graphite. We first went looking for graphite in Brazil, and ended up in Madagascar. Maurice Jackson: Let’s begin today’s discussion with DNI Metals’ newly issued resource estimate on your flagship project, the Vohitsara. Walk us through the resource estimate, and share some of the highlights. Dan Weir: I’m very excited about the resource estimate. We’ve been delayed here a little bit, and I’m going to get into some of the reasons why, but I’m very, very excited about this new resource, and I want everybody to go and look at the press release that we just put out. All the details will be in there. My goal here today is to clarify some of the press release because I know when people look at a resource they ask themselves a lot of questions. Number one, everybody will look at the numbers and go, “Well, are these good, bad, what are they?” I think we can answer some of those questions here for you today. We can also talk about what other graphite deposits look like in the world, and compare them to what we’re doing, and how we’re doing it. 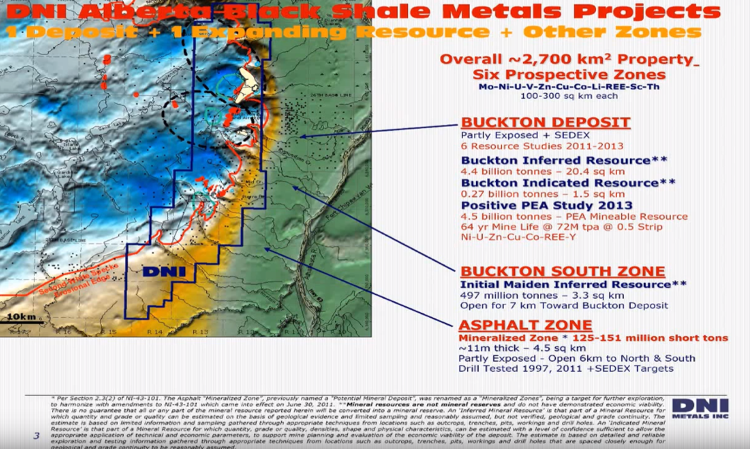 I want to take you to this slide because before I get into some of the numbers of our resource I think it’s important for people to understand the dynamics of a deposit, and specifically a graphite deposit, because a gold deposit is going to be very different from a graphite deposit. Just for clarity, and so that I don’t get myself in trouble, a resource study does take some of the economics into account, but this is not a feasibility study that we put out. And also remember that in different places of the world they have different guidelines for their resource studies. For instance, in North America we have what we call the 43-101 Guidelines or Standards. If you were in Australia, or an Australian company, you would use JORC—those are their guidelines. Russia has different guidelines, and even South Africa has different guidelines. Depending on where you are, or the home base of your company, you have to use different guidelines around that. Again, this is a resource study, this is not a feasibility study, but within our resource study we will have taken into account some of the economics of the deposit. When you’re putting out a resource study there’s a number of things that we look at, and a number of questions that the people ask when they’re putting out the resource study—obviously, the grade, and the size of not necessarily the deposit, but the size of the resource that you put out in conjunction with the study. When you’re looking at a graphite deposit you have to also take into account the flake size distribution. You have to take into account the quality or what impurities are in the material, or in the flakes. The other important thing to look at is the location, what country you’re in, the infrastructure in and around your deposit. One of the most important things that we have taken into account is the host rock, whether you’re in a hard-rock deposit, or you’re in what we call a weathered type deposit. The fancy name for that is called saprolite. Again, the most important things that you’re going to look at when you’re looking at a project, and seeing if it’s going to get into production, is actually the cost of production, and the quality and quantity of your material, and those are some of the things that you’ll take into account when you make a decision to get into production. In our case, we have decided, as a team, that we want to build a plant—a pilot plant is what we’re officially calling it. The great thing about our pilot plant, and specifically because we’re in this weathered type saprolitic material, we can also have production from this plant, so we’re very excited as we move this forward. Maurice, what I’ve done recently is I’ve put this slide together to really give readers an understanding. Again, if you use the phrase a picture paints a thousand words, I think, people will get the idea here. If you look at the top one, this is a deposit that’s 50 kilometers (50 km) south of our deposits in Madagascar. Now, again, not all of Madagascar is like this, it’s the East Coast, close to where we are, that you get this saprolite, or weathered type material. Again, you can go in with an excavator, dig it up, put it in the truck, and take it to the processing plant. 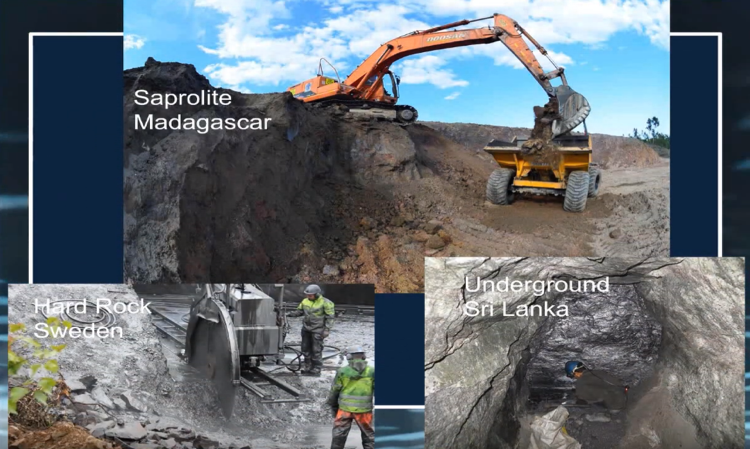 Other places in the world, like Sri Lanka, where they’re chasing vein graphite, you basically have to go down underground, tunnel through hard rock to go after these veins of graphite. If we switch over and look at Sweden, here is a deposit in Sweden. It is what you call amorphous graphite. Very high grade, they’re able to go in and cut it out in blocks, and use it, but the problem is it’s very expensive. You can see here they have to go in with a saw and cut it up. Here’s a comparison of what it looks like in Madagascar versus here in Canada— in hard rock in Canada, saprolite in Madagascar. In January 2017. . .I was in Madagascar are taking a bunch of samples. You can see here that we can just go in simply with a shovel, dig up the material—it’s a sandy clay material—and put it in a bag. Here are some guys that dug a trench, it’s all hand dug. When we were doing some of our exploration work on our property we were able to go down four and five meters deep with these type of trenches. Now, at the end of January I went up and I was helping another company take a one-ton bulk sample. Here I am, freezing in the bush in Québec in January. I had to go in with a jackhammer, I had to use a concrete cutting saw in order to cut out the material. It was beautiful material, but again I had to go in, chisel it all out. If you were putting the hard rock deposit into production, what you would have to do is you would have to drill holes—obviously with a big machine, not by hand—and then you’d have to put explosives down in the ground, you’d have to blow it up. Then, you’d have to go along with your excavator dump truck, pick up the big pieces of rock, put them in the dump truck, take them over, crush and grind them really fine before you could process it. I think that really shows people the difference between the two. You can see from the press release that there is a sensitivity table on there. The company, in conjunction with Micon International, the entity that wrote the resource report, we looked at all the different numbers and decided on which number best fit what we wanted. We had always mentioned to investors that our grade would be somewhere around 4—4.5%. I’m very happy because it came in at 5%. I’m very happy that the tonnage exceeded the numbers that we were looking to achieve. Our maiden resource is 4 million tons at 5%. That gives us approximately 200,000 tons of graphite. Now again, when you’re talking about 200,000 tons of graphite, also remember that you will lose some of that in your processing, you can never get 100% efficiency out of a processing plant. We suspect that we’ll get somewhere around 90, 95%—that will make us very, very happy. I do also caution that when we first start up we won’t get those efficiencies until we work all the bugs out of the processing plant. I’m very happy with those numbers. People ask me and go, “OK, how long can you produce?” Our initial plant will be for 6,000 tons a year, so you can take 200,000 divided by six and you can get a number of how many years that we can produce from that. That’s approximately 35 years. If you produce 20,000 tons a year we have 10 years of production from that maiden resource. Again, when we go to the map, keep that thought. . .I’m going to explain to you why we have multiple, multiple more years of production than that even. If we’re at 20, 25, 35, or 40,000 tons a year we’ll have lots of years of production from this main zone. 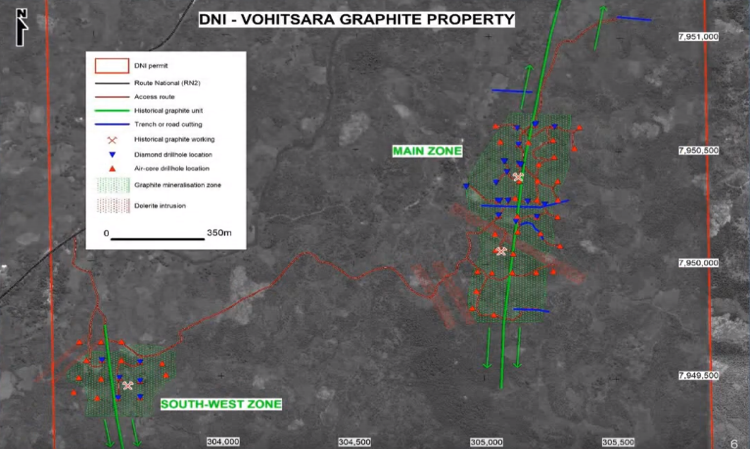 This is the area map of the Vohitsara graphite property. Remember, we own two properties. The Marofody property is adjacent to this first property. We haven’t done any work on that, we plan to get in and do some geophysics, and some drilling later this year on that property. Just a couple points here to make out about our resource. The main highway that runs up to the port, it’s this black line here. We put these roads in here that run along here between the Southwest zone and the main zone. We drilled a total in the Southwest zone of 24 holes. There were 18 holes drilled with the RC rig, or the air core rig. There were six holes drilled with the diamond core rig here—actually the blue ones are the diamond core, so you can see them. We did not do any trenching across this deposit. When we were doing the resource and putting all the numbers together, Micon determined that this zone would be excluded from the resource because we hadn’t done the trenching across it, therefore, no metrics from the Southwest zone are included. I’m actually excited about that because of the numbers that are in our resource, as a standalone, are fantastic, and we believe the Southwest zone is very, very similar to the main zone. We’re going to go back this year, dig some trenches across here, and we’ll be able to add some nice resource from the Southwest Zone. I would also like to point out when we build the pilot plant it will be located right next to the Southwest zone, and we’ll actually start mining from the Southwest zone as well as the main zone with the pilot plant. Even though we don’t have a resource on this part here it’s very exciting because [of] two things. One, we know that the numbers that came from all the drill holes are very similar to the main zone. We want to do a little more work, and then we’ll be able to add that very easily to the resource. We also know that this area extends quite a bit to the south, so that’s very exciting about this area. Let’s go over to the main zone where we did do the resource. The blue lines are where we dug the trenches, so we had four trenches, and then this squiggly line here is actually a road cut. We were able to take samples all along that road cut, so we’re calling that a trench as well. From the trenching, and from all of the drill holes, we came up with the maiden resource. I must also point out that the resource was a little over 750 meters (750 m) that was included here. We were able to add some Inferred resource as well, all the way up to the trench up here, but the point I make on that is that we know that these things run for over 5 km, and we’ve only done work on about 750 to 800 m over that distance. We do know that the graphite does extend in this particular zone to the south, to the north, and we also know it goes at depth. The average depth that we drilled holes just in the saprolite was 28 m—some of them were 18 m, some of them were 46 m, but the average depth was about 28 m. Again, only in that weathered saprolite area. Also, in the road cut along the side of the road, we also saw other zones. We know that there’s graphite there. As I mentioned, we should have other zones on the property. I can’t say that 100%, but we feel very confident that we’ll do that. I apologized earlier that we took a little bit of extra time to put out the resource report. One of the reasons was that samples had been taken from this trench at the north, and when Micon came and did the site, we found that he looked at it and said, “Wow, that looks very good. The samples from here look really wonderful.” They had never been sent to the lab for assaying, so we took the time, we took those back to the lab, and that gave us some extra Inferred resources along this trend. I think it was very worthwhile to have taken a little bit of extra time, actually having the samples assayed. As I said, we came out with our maiden resource, we have the multiple years of production that we can have here, but there’s also a huge upside not only to the south, but to the north, and other zones that may be in between here, and we never even included any of the Southwest zone in our resource. All those things add up to that we may have many, many, many years of production that we can have from this property. Let’s discuss large flake distribution, one of those six points that we talked about when we began today’s discussion. 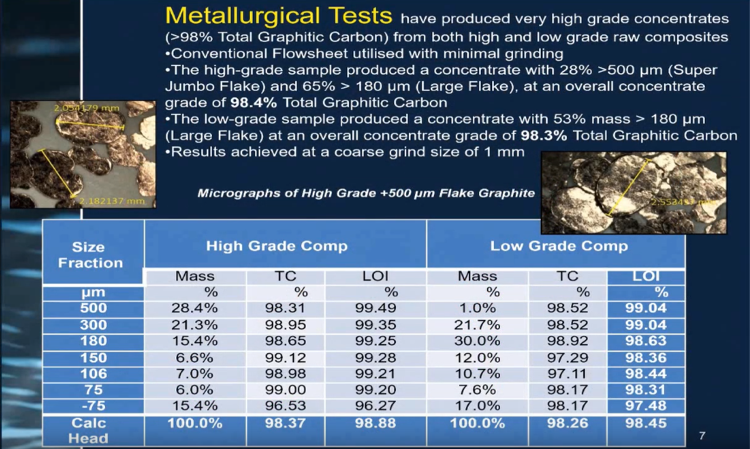 It’s very critical in a graphite deposit to also talk about the flake size distribution. In our case, we have like 65%, and this was just one sample. Some of the other samples have been 67-68% large flake graphite. Large flake is 150 µm, and larger, and you can see here that we’re 65% large flake, so that makes it a lot more valuable. That one picture I showed you where they were cutting out blocks that is what they call amorphous graphite, there’s not a lot of flake in it, but it can be very, very high grade. In that case, it was like 24%, but because there’s not a lot of flake in it they can’t use it for certain things, like in the steel-making industry, or for batteries, and things. They need the flake-type graphite in order to make that work properly. Now, let’s talk about some of the other guys in our area, and some of the grades that they’re getting. 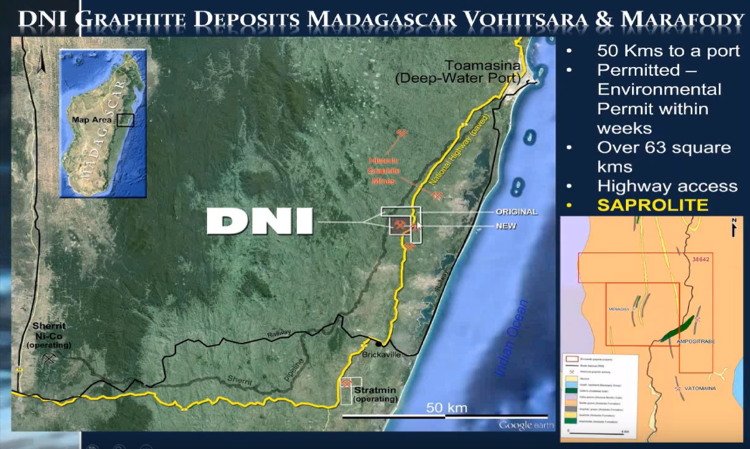 DNI Metals’ two properties are the Vohitsara and Marofody, we’re 50 km to the port, and 50 km south of us is an operating mine owned by Bass Metals, which hosts the Graphmada deposit. Bass Metals’ grade down there in their primary deposit is 4.2%. Remember, we’re at 5%. Their primary deposit has about 3.5 million tons of material. Again, we have about 4 million tons. So what I’m trying to show here is that they’re very similar. Ours might be just a little bit higher grade than what they have, but they’re very, very similar. They’re producing about 6,000 tons a year, they have plans to expand that to about 20,000 tons a year, very similar to what we’re doing. Our pilot plant will have the ability to produce 6,000 tons a year, and our ultimate goal is to grow that with our customer base. Whether that ultimate number is 20,000 tons, 30,000 tons, or 40,000 tons we will grow with our customers. Just north of us, is a company called Galway, which is an old French family. Their company was bought by a Chinese group; they have production from two deposits now in Madagascar. Those two deposits in the last three years have seen production from basically zero up to about 18,000 tons a year from those two deposits. As you can see here, demand is growing in this area, it’s one of the only areas in the world outside of China, Brazil, and India that is growing, and getting into production quite a lot. The other area is Mozambique in Africa where you have Syrah, is also growing and building, and their production is ramping up very, very nicely. I’m very excited about our area, I’m very excited about our maiden resource, but I’m even more excited about the knowledge that we’ve gained from doing this resource, and the fact that we know that there’s a lot more graphite here. 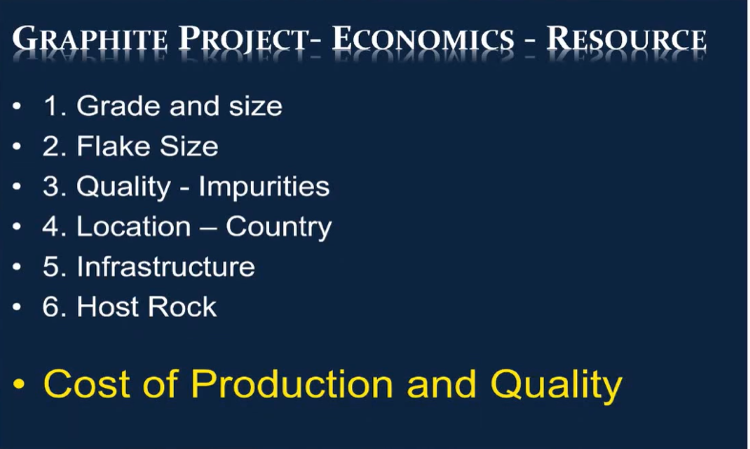 You will see over time that we may have many, many, many years of production because that’s one of the questions that people ask me all the time: “Do you have a production for a number of years,” and the answer to that is yes, many, many years we can produce graphite from these two properties. It’s extremely exciting. I’m very, very happy with the grade that we’re getting from here, and the size of the resource. Maurice Jackson: Moving on to business transactions that DNI has recently consummated, let’s begin in Utah, where DNI Metals just sold a royalty. What can you share with us? Dan Weir: In Utah, our previous management team had focused on a gold deposit in Utah. In 2008 or 2009—don’t hold me to those dates—DNI sold that deposit, and kept a royalty. The gold started producing, or started paying us a royalty in 2015. We were paid small, we were getting on average for the last couple years about $3,000 or $4,000 a year. DNI decided to monetize that. The problem the guys were having at the deposit [was] there was a number of people who had royalties on the gold deposit, and it was very difficult for them to make any money at their production, so they bought out all of the royalties including ours, and they gave us $50,000 U.S. for that royalty. We felt that was a very fair value for that asset. Maurice Jackson: Take us for farther north to Alberta. What type of activity is DNI Metals conducting? Dan Weir: On Dec. 18 we put out a press release talking about this polymetallic deposit. As I mentioned before, the previous management team, before I got involved or before the current board got involved in DNI, were developing this project. They did an amazing job at doing it, they had drilled a number of different deposits in this area, they were able to do a full PEA on it—that’s a Preliminary Economic Assessment study—which they completed in 2013. The problem that they ran into was that this was a massive deposit with a capex of over $3 billion. They knew at that time that they needed to go back and bring that capex down, but they, basically, ran out of time. The markets weren’t friendly in 2015 and 2016, so they knew that it was time for them to put this to the sideline. Our team came in, and took over DNI, so this is a legacy deposit that we inherited when we took over the company. What we were able to do recently was two things. Number one, just north of our project, there’s a national park called Wood Buffalo National Park. Some of the rivers that are on this property, this township here that we had the mining rights to, or the mineral rights to the rivers here flowed to the north, and went up here went up here into Wood Buffalo National Park. One of the First Nations up here, and the federal government, and the government of Alberta, have put together a plan to build a new provincial park that protects all of those rivers that flow north. We did a deal where we surrendered part of this township, or this permit that we had, and it takes into account the rivers that flow to the north. All the other rivers on our project here flow over to the east, to the Athabasca River, and they’re not part of that river. It just so happens that the main part of the resource, where most of the work was done, happens to be part of those headwaters. The point I’m trying to make here is that we have resource studies within the blue lines. It’s a huge, massive, polymetallic deposit with multiple zones, and it does not hinder the value for future people who want to try and develop this project. It’s very exciting that we were able to sell part of this here for $500,000. That was great for us right now. DNI had planned at the time to raise about $1 million in a convertible debenture bringing in $550,000 from the sale of the royalty, and surrendering part of the asset here brought us about $550,000 after paying some legal bills. The great thing is that we have a number of warrants still outstanding, so in our press release from last week we have decided to reprice some of those warrants, and give existing shareholders, or existing warrant holders, a chance to help us raise about another $500,000 here to make up the difference as we continue moving forward with what we’re doing in Madagascar. Maurice Jackson: Now, the multimillion-dollar question, what can you share with us regarding the environmental permit? Dan Weir: I just arrived home just a few days ago from Madagascar. Things are moving along very, very well, and I’m very excited. It’s one of the reasons why I actually came home because things are moving along extremely quickly. Now, I know not as quick as any of us wanted, but I can assure you that things are in the final stages here. Again, I know, everybody has heard me say that many, many times, we are now weeks away, not months and years away, from getting all of these environmental licenses completed. I am extremely excited getting out the resource report, and being able to put out a press release shortly about having these environmental licenses all completed, I’m very excited. In our press release last week, I just want to clarify a couple things in there because I’ve talked about the Cahier des Charges environmental. This is, basically, the permit. What we have to do is do an agreement between DNI and the ONE, the environmental and agency that’s in charge of this. It basically sets out what DNI will do to help the local economy, or the local people in and around our properties. For instance, currently DNI is supporting the two local schools on the Vohitsara property. On the Vohitsara property there are four villages. Two of the villages we directly affect when we start mining here, and I’ve been supporting the schools. What I found out in Madagascar is that in the school system, the government supports school until grade 5, that’s it. They help the local villages build schools, but then they tend not to help with the paying of the teacher salaries. The locals at Vohitsara approached me and said, “Listen, we have four teachers. The local families, or parent groups, go out and ask all the local people to give money to support the salaries for the teachers.” They were getting about 85,000 ariary a month. The exchange rate right now to U.S. dollars is about $3,500 ariary to the dollar. Maurice Jackson: Switching gears, please share the capital structure for DNI Metals. Dan Weir: DNI currently has 122 million shares outstanding. There are some options, as well as some warrants. You can see from our press release some of the warrant numbers that we have outstanding. I think, for a company that is building a pilot plant, and getting into production, that we have a very good share structure. Maurice Jackson: Multilayered question, I believe I know the answer, but just for clarification, what is the next unanswered question for DNI Metals? When can we expect a response, and what determines success? Dan Weir: DNI has to raise some money here. It’s one of the reasons why we decided to reprice some of the warrants. We are so close to completing all of the permits, and moving all of this forward to getting our pilot plant built, and getting some revenue from selling graphite, so I’m very excited about all that, but it takes some capital. In the next few weeks, I hope to raise some of the money that we need just to get us through the permits, and then get us to the next phase where we’re raising all the money to build the pilot plant. I’m very excited right now about what’s happening within the company. Maurice Jackson: Dan, what keeps you up at night that we don’t know about? Dan Weir: I think every CEO of any mining company [knows] out here it is such a struggle nowadays to raise money, and that is always the most difficult part. I’m here in Canada to make sure we get this all done. My game plan is to head back to Madagascar in about two or three weeks, and hopefully I’m celebrating with all of our team in Madagascar that we have all the permits in place, and everything is done. I think that that’s a good bet that that will be all done. Maurice Jackson: Last question, what did I forget to ask? Dan Weir: No, I think you’ve got pretty much everything summed up, Maurice. It’s always a pleasure working with you, and again I look forward to the future. Maurice, we’ve been working with you for the last couple years. You’ve been to the property twice. I can’t wait to get you there this summer, showing you where the plant will start production here by the fall. It’s going to be so exciting to get you back over there, and show you everything that we’ve done, and all the hard work from our team to get it to there. Maurice Jackson: Dan, if investors want to get more information about the DNI Metals please share the website address. Dan Weir: It’s www.dnimetals.com. Please e-mail me, I’m traveling a lot back and forth between Toronto and Madagascar. It’s always best to email me at danweir@dnimetals.com. Maurice Jackson: As a reminder, DNI Metals trades on the CSE symbol DNI, and on the OTC symbol DMNKF. For our audience, DNI Metals is a sponsor, and we are proud shareholders for the virtues conveyed in today’s message. Last but not least, please visit provenandprobable.com for mining insights and bullion sales. You may reach us at contact@provenandprobable.com. Dan Weir, of DNI metals, thank you for joining us today on Proven & Probable. 1) Maurice Jackson: I, or members of my immediate household or family, own shares of the following companies mentioned in this article: DNI Metals. I personally am, or members of my immediate household or family are, paid by the following companies mentioned in this article: None. My company has a financial relationship with the following companies mentioned in this article: DNI Metals is a sponsor of Proven and Probable. Proven and Probable disclosures are listed below.